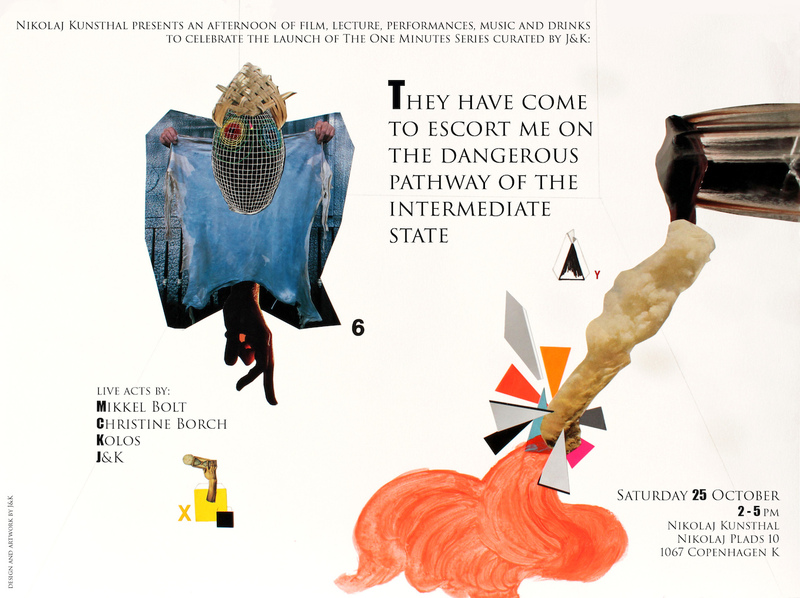 Nikolaj Kunsthal invites you to an afternoon of film, lecture, performances, music and drinks to celebrate the launch of The One Minutes Series, curated by J&K. Introduction: Julia van Mourik, Director, The One Minutes. Performances by: J&K (DK/D) & Christine Borch & Vibeke Borch b. Brandt. Talk by Mikkel Bolt, art historian and political theoretician, on collapse and aftermath, destruction and potentiality. Followed by a concert by the death metal band Kolos. The event takes place in English.